When you are a new student looking for housing around Clemson University or a returning student who is in need of a change, it can be extremely difficult and stressful to try to find a good place that fits your needs. 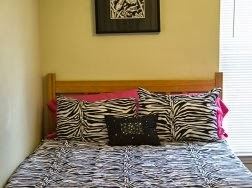 Especially for new students, it can be hard to leave home and try to find a new place that you can feel comfortable in. 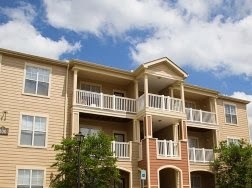 But finding the right housing can play a very important role in your comfort and success in college. Here are some things that you should consider in your search for the right place that can help you be more successful in making a final decision. Now that you are in college, you are probably living on a budget. As most people know, those college budgets are usually not very large. This can lead many people to choose a cheap place in order to save money. While it is very important to be realistic in selecting housing by picking a place that fits in your budget, it will also serve you well to prioritize your safety when deciding on how much you are willing to pay. You need to live in a safe area, which may mean picking housing that is closer to the highly populated campus area and is slightly more expensive. Make sure that you don’t extend your budget too far, but you might want to sacrifice how much you have budgeted for entertainment or travel before you sacrifice living in a safer neighborhood in order to save money. Another things you will want to think about as you look for housing around Clemson University is the storage and privacy available to you. You may be the kind of person that is excited by the prospect of sharing a room with a roommate so that you can experience all of the social benefits that living situation has to offer. On the other hand, you may be the kind of person who dreads the idea of living with a roommate. If that’s the case, then you may want to consider selecting an apartment where you can have a private bedroom. A private bedroom will not only offer you the quiet and seclusion that may boost your studies (and your grades), but also offer you more storage space so that you can keep all those things from home close to help make your transition to college easier.